- made modified copy/variant of BIS_fnc_removeCommMenuItem function and used it instead to avoid script errors, BIS function generated when 0-8 menu was empty. So for now only mouse actions variant may be use﻿able here. You make that sound like a hardship - when having the mouse actions available when aboard the chopper is what the players are going to think is cool! I had not got to the availability of the RYD_HAS_NewChopper function call in my look at the code, but that is perfect. And I see there is another version now to download so no sooner asked than answered. Brilliant. Thanks. I'll let you know how the coding goes and the comparison of the CAS systems. I will admit that in testing the vanilla virtual chopper CAS can be a bit of a waste of space at times. Not exactly an aggressive attack style on display. You make that sound like a hardship - when having the mouse actions available when aboard the chopper is what the players are going to think is cool! 🙂 There are two alternative, switchable in user config variants: user may use mouse actions to call the heli (then "closest able" helo will be picked automatically), and there are also calls through 0-8 menu instead of mouse actions. It differs, because here in submenu player manually picks which exactly helo should take the task. Before 1.7 wip1 newly added helicopters wasn't listed in these submenus. Now they should be listed. I will admit that in testing the vanilla virtual chopper CAS can be a bit of a waste of space at times. Not ﻿exactly a﻿n aggressive attack style on display. In HAS it looks like this: gunship takes stationary position at given distance from pointed target area, then it climbs up until is able to get unobstructed LOS to each of known (or all present) hostile vehicle targets (but not too high, there's a limit...), then it should begin quite aggresive fire engaging armored and soft vehicles with homing missiles, if equipped, soft vehicles and infantry with unguided rockets and minigun. Used are only weapons firing straight ahead. Especially picking infantry one by one with minigun may take time, helo is quite persistent here, but pilot can decide, it's enough at some point. Same, the caller can cancel CAS any time. Accuracy of not guided fire should improve during the firing, as gunship tries to correct its aim basing on previous shots. It's pure SQF controlled, AI is disabled, it was only a hindrance. After the last Update i still have to make the route to make the heli RTB. I just can't choose RTB after a pickup i have to plot in all the WP. What are your steps exactly? I'm running latest script, I call heli to transport, when it arrive, I choose RTB mouse action, then heli transport me to the base, just like that, all in order, no route plotting after RTB selected. Also it follows properly back the route, if I plotted one from the base to pick up position. I see nothing wrong in my test. it works like a charme..
any chance you can put the version number on top of the script.. I'll think about some way to inform, which version is used. (1) Is the RYD_HAS_CASChoppers array cleaned up in a similar way to the RYD_HAS_ClearHelis function removes destroyed objects from the RYD_HAS_allChoppers array? I have the respawn code adding the new objects into RYD_HAS_allChoppers, and I am content that RYD_HAS_ClearHelis will get rid of the deleted objects at some stage. But I'm not sure what I need to do about destroyed CAS helicopters. (2) Do I need to worry about this I have seen in the code? I've not examined the code well enough yet to see if this is in "run once at init" code, or if its in a loop that will be checking for new helis spawned. I think this might be something to do with the respawned helicopters not displaying all the systemchat messages for the end of the airlift. I get the audio cue for a message - but no text. I don't get the 'daytime signal' and 'signal seen' messages. I do get the 'on the way' message when the airlift is called. Then, if any object called Airliftx is destroyed then it is respawned at its original location with a pilot and added back into RYD_HAS_allChoppers and RYD_HAS_CASChoppers as appropriate. What I have still to test are the interactions between using playableUnits to populate RYD_HAS_STT, and what that will mean for JIP and respawned players. I think that will be for another day. Thanks for this great system. 1) Destroyed helis are not removed from RYD_HAS_CASChoppers, only deleted are. But this shouldn't be a problem, as destroyed helis from that array are filtered out when necessary. But I may add destroyed helis removal just for elegancy. 2) Don't worry about anything inside HAS code. HAS should be able to handle itself, and if not - it's a bug, then let me know, as you did, and I'll fix that for all HAS users. The worse, not sure, if remember correctly, but voice messages may not work very well in the MP, client side (distorted, slowed down voice). The comment in then quoted line may be true atm, but it's obsolete approach, this should be done automatically. Thanks for this great system﻿. You're welcome. It's always great to know, when your work is helpful for someone. - RYD_HAS_NewChopper function should now handle also adding the pilot of the new heli to the kbTell conversations. Check this out and let me know about any further issues. 🙂 Do, as you wish, but I recommend do not use voice comm by default for reasons described earlier. - RYD_HAS_NewChopper﻿ function should now handle also adding the pilot of the new heli to the kbTell conversations. Works like a dream. I hadn't spotted the NewChopper function when I looked at the code, but it works well in every respect. Thanks. 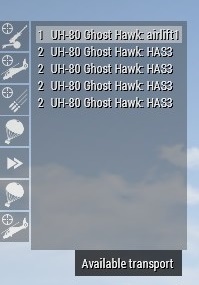 There is still just one single Ghost Hawk in the mission. However, it all still works, I can pick any of those menu options and the chopper is on its way. Thanks for the feedback. I'll check, what's going on. - added systemChat message at init displaying in SP/on server running HAS version. I smell an update coming! Yep, seems close, as soon we'll be sure, HAS is fully working with dynamically spawned assets. to get that player to have the call support options become available to them ? I am also appending the new player object to the RYD_HAS_STT array. Similar, as you do for the chopper, just here you have array of units passed into fuction. This function should handle all, what's required: RYD_HAS_STT, giveActions (when necessary, only for mouse actions variant is) and few other things. Multiplayer testing continues, so a bit more feedback if I may, I hope this isn't pestering you! I am testing the system with a three player set up: player 1 is hosting the game, 2 is joining at the very start, 3 is JIP. At certain point in a mission, when the only transport chopper has been shot down but before it has re-spawned, if player 1 tries to call a Transport mission the Available transport menu is empty. Player 2 and 3 both see the downed Transport heli in their support menu as an Available transport, but if it is selected the "There's no heli able to perform the task - exiting call." hint pops up. So the code that populates the menu thinks there is a chopper, and the code that calls the mission knows there isn't. But only on both the clients, not on the server. 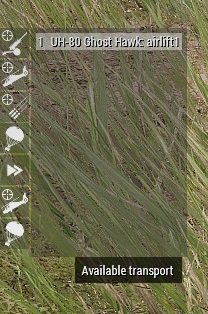 Apparently removing dead heli entry from the list doesn't work client side. I'll investigate this. - Destroyed helis should be now removed from the 0-8 lists also on clients. Thanks for the update. Destroyed helis are indeed removed from the lists. Multiplayer testing is all working fine for calling missions, adding new helis, adding new (JIP) players. It's all very sweet. I still want to test the mission on a dedicated server and two clients, but that's not for tonight. 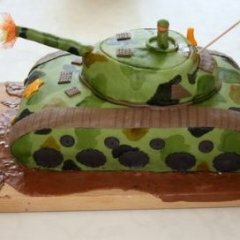 Script submitted to Armaholic, but we need to wait til they update the page on their end to 1.7. Module version on steam workshop has latest 1.7 version. Just another update from me. Tested in single, multiplayer hosted server and dedicated server. The airlift system is all working beautifully. Integrating into the mission system revealed all the problems with my own code, so I have been fixing that before declaring 'mission accomplished. Thanks again for the effort you have put into this, and for sharing it. It's a fine piece of work. 15:50:55 User menu description 'BIS_fnc_addCommMenuItem_menu' not defined. I'm unable to reproduce it. Tested just now again by doing simple transport task as client on dedi. No such error, all works fine. Settings was vanilla, or changed? What was going on/at what moment exactly the error occured? Does it occur always in the same circumstancies? Server's, client's or both RPT? Also... That error refers to some native Arma 3 content, so if there's such error, it is produced out of HAS scripts, thus may be hard to do anything about it assuming, I'll be able to reproduce it.